Although not a huge lover of paranormal stories, I enjoy the Gethsemane Brown Mysteries. In this outing, Gethsemane; a violinist, conductor, and music conductor/teacher at a local school, has saved her cottage from developers, thus saving the spirit of composer Eamon McCarthy who inhabits the cottage where he once lived. Her landlord believes that the ghost of Eamon lives in the cottage, so he has granted permission for a team of ghost hunters to investigate. To deflect the investigators, she points them to the opera house where composer Aed Devlin plans to premiere his work about Maja Zoltán who died placing a curse to occur each year on the anniversary of her death. When the playing and singing of the opera conjure Maja’s ghost, Gethsemane and Eamon have to come up with a plan to send her back to wherever she came from. Along with this, there is a murder during the dress rehearsal and as usual, Gethsemane is investigating to get her friend off the hook and out of jail. Even though this is the third book in the series, there is enough of a backstory given that this book can be read as a standalone. I enjoy Gordon’s characters, they are all fully-developed and very interesting and quirky. Because this series takes place in the Irish village of Dunmullach, the reader gets to learn about living in a small Irish Village with all that goes with it. Gethsemane is a great MC. She is smart, confident, competent, as well being an in your face kind of gal. She loves Irish Whisky and is no shrinking violet. Father Tom plays a big role in this story delving into his older brother’s collection of books on the occult, Neill of the Gardaí and Saoirse the 12-year-old genius are also front and centre in solving this mystery as well as dealing with the spectre of Maja. A side story is the subject of reviews for pay, and poor reviews for non-pay. This is something that has always interested me, as well as the ethics of that. There is still enough humour in the story to counteract some of the more serious issues. The mystery was well plotted and wove into the paranormal storyline well. The final reveal was not what I had expected, but it fit the story well. With the twists and clues sprinkled throughout the story, this was a great addition to this series. 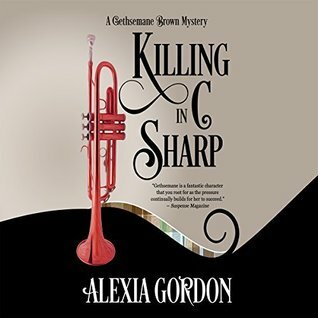 Ms. Gordon has created a mystery/paranormal series that is a perfect balance of action, mystery, intrigue, and character development. Overall, I wouldn’t say this was the best in the series so far, but it was definitely a fun and enjoyable cozy mystery. If you enjoy a Paranormal Cozy, then you need to pick up this book and series. I listened to the audiobook of this one. I stole this comment from a review of another book on Audiofile, but it fits this book very well. “Narrator Helen Duff deftly transitions between the diverse characters, giving each his or her own identity and distinct voice.” I love that she slipped into different accents without a missing a beat. I will definitely look for more books narrated by Helen Duff. About the Book: She saved Carraigfaire—but can she save her friends? About the Author: A writer since childhood, I continued writing through college but put literary endeavors on hold to finish medical school and Family Medicine residency training. My medical career established, I returned to writing fiction. I won a Lefty Award, was nominated for an Agatha Award, and was chosen one of Suspense Magazine’s best debuts of 2016. About the Narrator: Comedy award-winning, critically acclaimed and socially conscious clown, Helen Duff started performing comedy in 2014. Her first solo show, Vanity Bites Back, won a Fringe First nomination at the 2014 Edinburgh Fringe Festival and was subsequently selected for the Melbourne International Comedy Festival, Adelaide Fringe Festival and Perth Fringe World. A clown cookery show about anorexia, it won a Pick of the Festival Award at VAULT Festival, London before completing a 5 star rated tour of regional theatres across the UK. The same year, Helen was also a semi-finalist in the So You Think You’re Funny Awards. In 2015 Helen was named a Finalist in the Brighton Comedy Festival 2015 Squawker Awards and was a Finalist in the Amused Moose New Act Award at this year’s Edinburgh Fringe 2017. 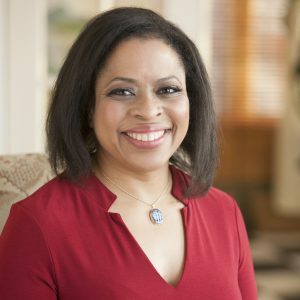 Check out the books narrated by this talented woman here. Fantastic review! That cover is striking. I’ll have to check this out, thanks! Thanks Jacquie. I really enjoy this series. There are so many good series out there and this sounds like another one. Great review and happy you enjoyed this one, Carla! Thanks Marialyce. This series is a more I intellectual cozy than some of the others. Oh no, I must not have been clear, I have read and loved them all. Thanks Shalini. Great review Carla – this sounds like a terrific series!! I like all things musical and I think it just might be a series for me. Thanks Mac. It is a fun series. Although the music is not always a huge part, there is always something musical in each book.